If you’ve been waiting for prices to drop before jumping into the 802.11ac wireless router pool, Netgear’s new R6100 will soon be available for just $100. 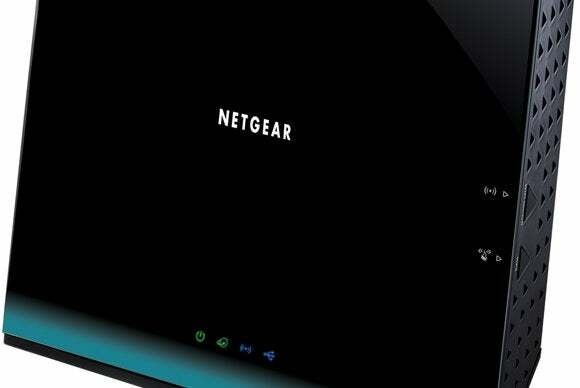 But don’t expect to get the gigabit wireless speeds that reviewers have been raving about. This model is equipped with only two transmitters and receivers, so it will be capable of delivering a maximum 802.11ac link rate of 867 mbps. The R6100 is a dual-band model, so it will be capable of running a simultaneous 802.11n network with a maximum link rate of 300 mbps on the 2.4GHz frequency band. This is what the industry has decided to classify an AC1200 router (using slightly fuzzy math, since 867 + 300 = 1167). The new router will be outfitted with one USB 2.0 port, to enable either printer or storage sharing, and it has a four-port 10/100 ethernet switch (higher-end models have two USB ports and gigabit ethernet switches). Netgear’s Genie software—available for the PC, Mac, Android, iPhone, and iPad—is designed to make the R6100 easy to install and configure, even if you don’t own a computer. And since the router is DLNA certified, streaming audio and video to entertainment devices around your home should be easy. Netgear's 802.11ac USB adapter, on the other hand, is currently compatible only with Windows. Although Netgear’s press release indicates that the R6100 is “currently available,” the links to online retailers on Netgear’s site were ghosted and non-functional at press time.